Melbourne Opera presents a restaging of their highly successful production of Rossini’s hilarious and widely popular opera, The Barber Of Seville at The Athenaeum Theatre and Monash University’s Alexander Theatre. Considered the most popular comic opera of all time, The Barber of Seville remains one of the most performed operas in the world. Hugh Halliday returns to direct the production after directing two productions for Opera Australia. “The Barber of Seville is fast action, it doesn’t stand still for more than five seconds. It’s a farce, a real situational comedy – perhaps one of the world’s first sit-coms!” says Mr Halliday. The Barber Of Seville tells the tales of an overprotective guardian outwitted by his daughters love with the help from the conniving barber Figaro. 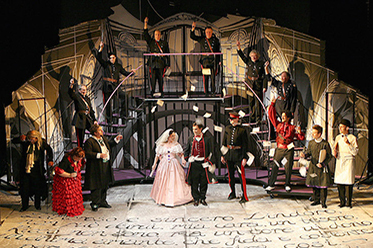 First performed in 1818, it was one of the first opera buffas, or comic operas. It is loosely based on a play by French playwright Pierre Beaumarchais. Melbourne Opera have once again assembled a wonderfully high calibre cast to perform this deliciously fun opera. 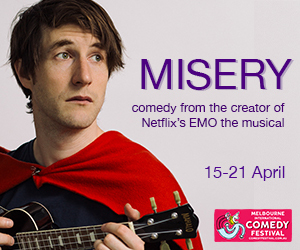 “I’ve been lucky enough to assemble a cast of some of Australia’s finest singers who also happen to be extremely well versed in comedy, with impeccable timing,” said Mr Halliday. 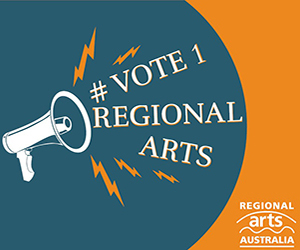 The cast is led by mezzo-soprano, Sally-Anne Russell, one of Australia’s most versatile and popular artists. Sally-Anne has performed in 15 different countries as well as with Opera Australia, all the state opera companies and all Australia’s major orchestras. She is also an ABC Classic FM recording artist, and appears regularly on radio. The Barber Of Seville will also feature baritone Phillip Calcagno as Figaro the artful Barber; Herald Sun Aria winner, Brenton Spiteri, as Count Almaviva; and Roger Howell or Ian Cousins as the overprotective guardian, Don Bartolo. David Gould reprises his role as the scheming Don Basilo and Jodie Debono stars as the maid, Berta. Conducting duties are shared between Greg Hocking and MO Head of Music Raymond Lawrence. “Barber is a constant delight for all involved, the orchestra has as much fun with Rossini’s witty and inventive music as the cast on stage. We always look forward greatly to performing this masterpiece,” says Mr Hocking. The Barber of Seville follows Melbourne Opera’s acclaimed premiere production of the rare German opera Der Freischütz in March, and precedes a new production of Gaetano Donizetti’s tragic opera Maria Stuarda in September.